The pec deck is totally safe and a very effective way to work your chest. WRONG! Why is the pec deck so bad? The truth is it can lead to shoulder injuries. One of the biggest problems is that most guys unintentionally set the pads in a position that hyperextend the shoulder joint, overstretching the front of the shoulder and cause the muscles around the rear of the shoulder to shorten and stiffen. If this movement is done frequently can lead to a shoulder impingement syndrome. 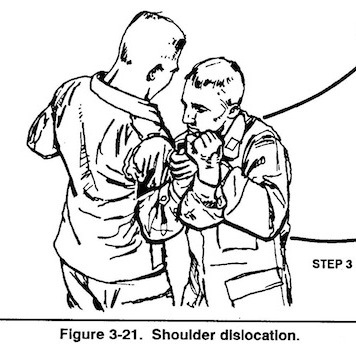 Another possible injury (as low as the odds may be it’s still a possibility) would be dislocating your shoulder. This happens because of the angle between your arm and the pad. Allow me to explain: when doing the exercise your elbows are bent at 90 degrees which means your forearms are perpendicular to the ground (look like a field goal), this puts your shoulder joint in a weak position. Combine with the hyperextended shoulder joint and a heavy load, the shoulder can be dislocated in this position. Add to that the chest being a very strong muscle only increases the chances. And you’re in this position for the whole movement. Here’s more proof why you should stop. Truman State University researchers found that your pecs are activated for 23 percent less time during chest flies compared to doing the bench press. Which means your get less work out of the pec deck, waste of time! All this and it doesn’t even help bring out the middle of your chest. Which is the reason why your doing this exercise in the first place, correct? 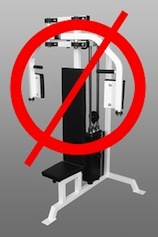 Instead try using a suspension trainer, gymnastics rings, or some form of straps that can loop around a chinup bar, tree limb, etc. Do pushups with them, doing so will force your shoulders to stabilize, therefore increasing muscle activation. The metabolic effect is HUGE with the pushups when compared to the pec deck. Pushups use more muscles: chest, shoulders, triceps, and core. More muscles being used = a greater metabolic effect. 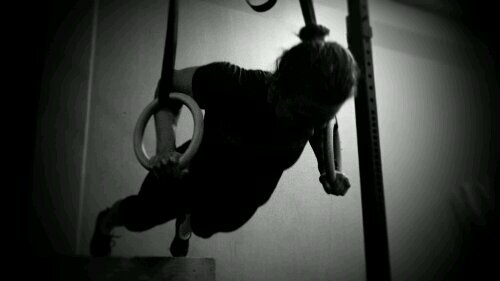 Now for those saying pushups don’t hit my muscles hard enough, there are ways to do that. Wearing weighted vest, is well worth the price, or place your feet on a chair, bench, or anything elevated. Do it and your muscles will be FRIED!! !